Green Lantern is an ongoing comic book series featuring the DC Comics heroes of the same name. The character's first incarnation, Alan Scott, appeared in All-American Comics #16, and was later spun off into the first volume of Green Lantern in 1941. 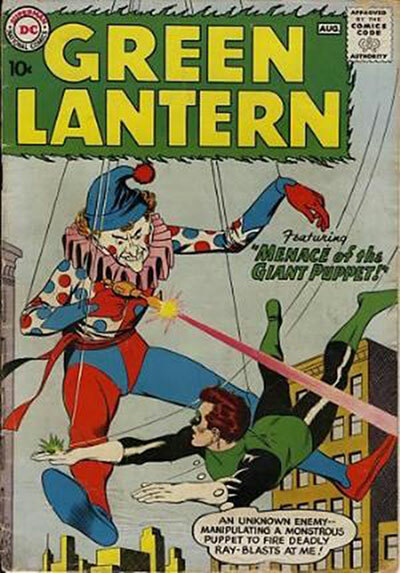 That series was canceled in 1949 after 38 issues. 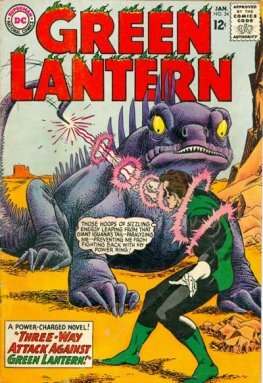 When Silver Age Green Lantern Hal Jordan was introduced, that character starred in a new volume of Green Lantern starting in 1960 and has been the main protagonist of the Green Lantern mythos for the majority of the last fifty years. 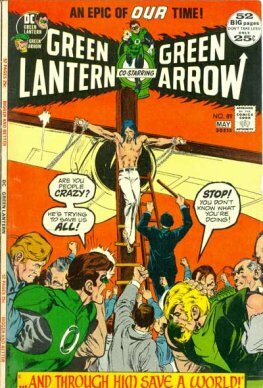 Although the Green Lantern is considered a mainstay in the DC Comics stable, the series has been canceled and rebooted several times. The first series featuring Hal Jordan was canceled at issue #224, but was restarted with a third volume and a new #1 issue in June 1990. When sales began slipping in the early 1990s, DC Comics instituted a controversial editorial mandate that turned Hal Jordan into the supervillain Parallax and created a new main protagonist named Kyle Rayner. This third volume ended publication in 2004, when the miniseries Green Lantern: Rebirth brought Hal Jordan back as a heroic character once more. After Rebirth's conclusion, writer Geoff Johns began a fourth volume of Green Lantern from 2005 to 2011, and a fifth volume which started immediately after, this time initially showcasing both Hal Jordan and Sinestro as Green Lanterns. O'Neil - Adams - Schwartz" "...and Through Him Save a World..."